I am trying to figure out which of my kids are too old to have a fun Halloween lunch packed in this super cute haunted house lunch bag. Probably just the boy, even though I will want to make him one too! 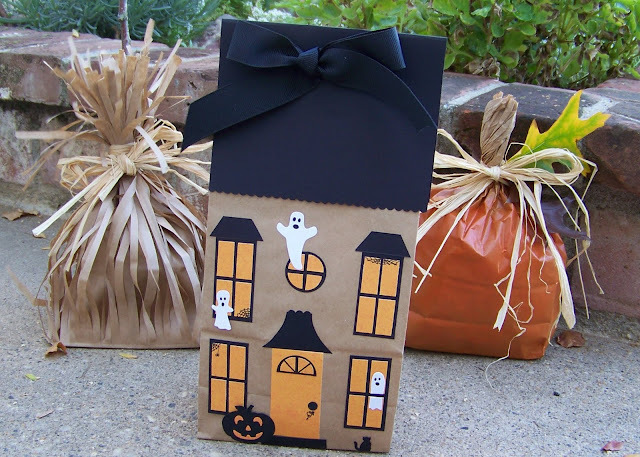 If you don't pack your kids lunches, this fun haunted house sack would make the perfect Halloween party favor bag too! You can check out how to make a haunted house sack over at The Paper Pony.